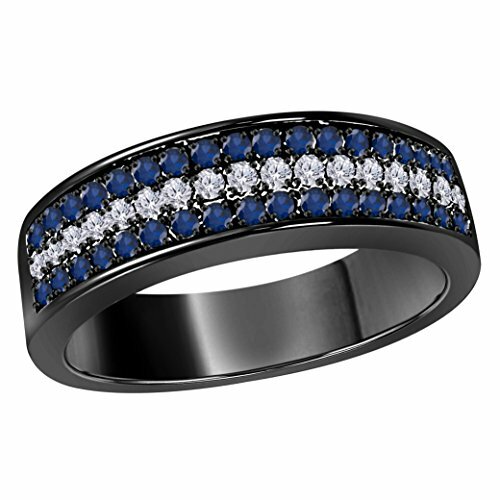 PLATING & COLOR: This ring is coated with the highest quality of rhodium, giving you long lasting durability and color. This allows the product to maintain its colors over long periods of time. AVAILABLE SIZES: This ring is available in sizes 4, 5, 6, 7, 8, 9, 10, 11, 12. Expedited Shiping Via India Post Express 7-10 Business Working Day's & Comes With FREE Ring Box !!!!!! If you have any questions about this product by Jewelryhub, contact us by completing and submitting the form below. If you are looking for a specif part number, please include it with your message.